If you’re a longtime fan, it’s possible that you’ve encountered Hyperion before—the planet, not to be confused with the ship Hyperion III—and this installment sheds some light on that world, or at least the world that used to be. Though they began life as peaceful, benevolent beings of DNA, nuclear energy, and intelligence, the Hyperions took a wrong turn along the way and the planet was wiped out in a war with the Time Lords of Gallifrey, you know, back when there was more than one. At least that’s what the general public thinks. Turns out, before the end, the Hyperions released what are essentially terrorist sleeper cells. 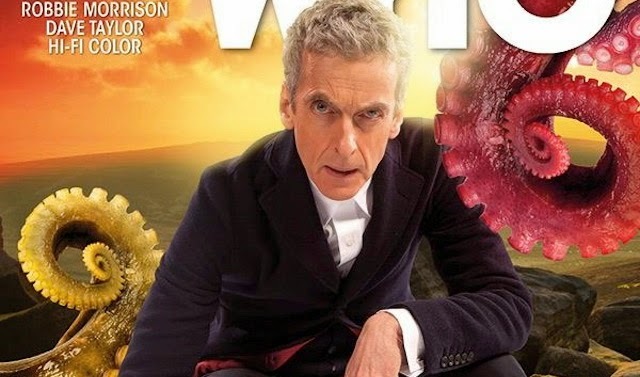 That fiery fella that Clara and the Doctor encounter at the end of the first issue is one of them, and as you can guess, he’s got a serious beef with this bitter, sarcastic man from Gallifrey. And if he didn’t right out of the gate, the fact that the Time Lord keeps antagonizing the big ball of flame would likely have gotten them there eventually. Battling this rogue Hyperion, who has been terraforming this particular world to its advantage, turning the planet against its inhabitants, forms the surface action, but this issue is mainly talking. It’s fine when the Doctor is bluffing and blustery, definitely a more caustic version of the character that his predecessors. But it’s also overly long winded at times and piles on the information with a shovel. Though they do crash an intergalactic wedding, which seems like it would be a pretty fun time, and Clara uses a ski pole in a duel in lieu of a fencing foil. There are some highlights. More than anything, this segment of the story feels like it’s laying the groundwork for what’s to come. You can’t help but presume that we haven’t seen the last of this particular Hyperion. He does have a big axe to grind, not only with the Time Lords in a more general sense, but also this one in particular. And to be honest, as the last one, the Doctor is all you’ve got on either end. Overall, however, this isn’t the most interesting or even entertaining of the comics. Of the continuing series that Titan Comics currently has in the works, this one is the weakest at the moment. 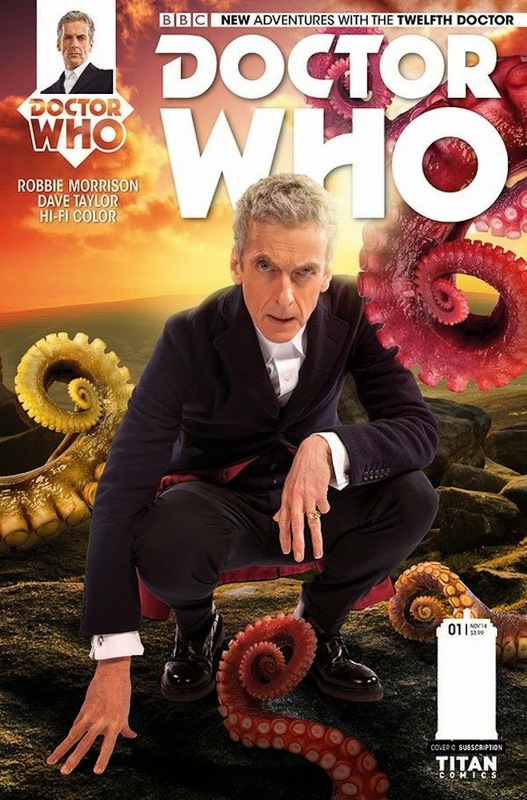 The Tenth Doctor has the most going on and is far more engaging than the others, and while it’s taken a bit, Doctor Eleven is starting to find a groove. Doctor Twelve just hasn’t arrived at the same point yet. A big part of this has to do with the fact that this Doctor is still on the airwaves. The others are gone, and there’s a sense of newness to the adventures, as well as nostalgia, like these are stories that never had the chance to be told in the series. Thus far, this one simply feels like it’s trying stay away from the main arc and comes across as beholden to the show while the others have free reign to go crazy. It may very well get there, as I said, it took Eleven a few issues, but it has a steeper road to climb at the moment.